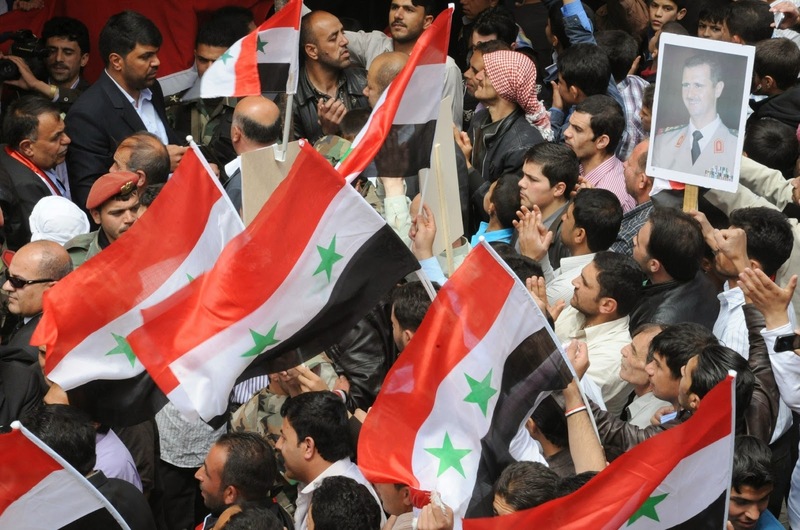 June 5, 2014 (Tony Cartalucci - LD) - It is hard for even the West to deny that the recent election was a huge success for the government in Damascus, stamping out the illusion of a divided Syria. The country is mired in protracted conflict not because of a "popular uprising," but because of a premeditated proxy war organized by the US, Israel, and Saudi Arabia (and involving other NATO-GCC members) as early as 2007 - this confirmed in Pulitzer Prize-winning journalist Seymour Hersh's 2007 New Yorker report titled, "The Redirection." The proxy war is admittedly lost - but it would be a mistake to say the West has completely lost. Their goal was indeed, ideally, to overthrow the government of Syria. By failing to do so and in the process exposing their insidious methods, the West has lost immense credibility and momentum they will never recover. However, their secondary objective was destroying Syria and leaving it in a weakened, diminished state - denying Iran, Hezbollah in Lebanon, and most importantly, Russia a strong regional ally. This, for now, the West has absolutely succeeded in accomplishing. Reconstruction & socioeconomic recovery will be as important if not more so for Syrians in the coming months and years, than defeating NATO's proxy forces on the battlefield. Bringing Syria back to or exceeding its economic and defensive posture before the war will be when Syrians can truly declare victory over the West. Bleeding Syria is now the agenda - which is the only reason they are still arming and training terrorists on Syria's borders, predominantly in NATO-member Turkey to the north of Syria, and in Jordan to the south. The West is also still, very intentionally, sabotaging reconciliation and reconstruction. This is the West's real agenda on full display - spiteful extraterritorial aggression recklessly destroying the lives of millions for the sake of maintaining global hegemony. Other nations - like Thailand and Ukraine - had better understand the true nature of Western special interests and the lengths they will go through to maintain dominion over this planet.